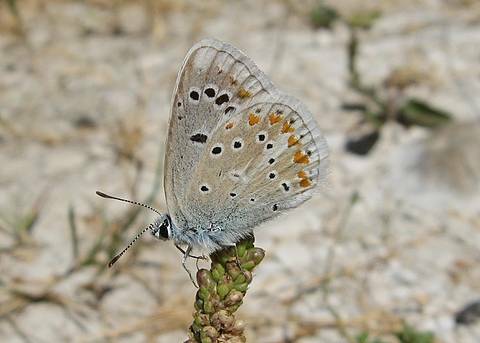 Fresh males of this species are absolutely cracking! 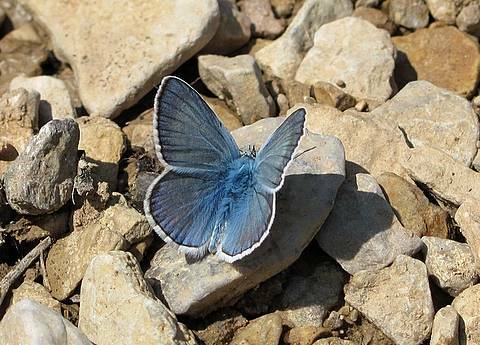 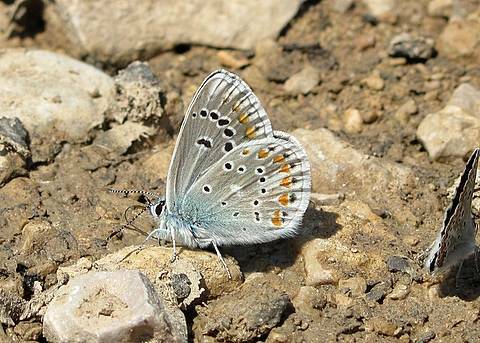 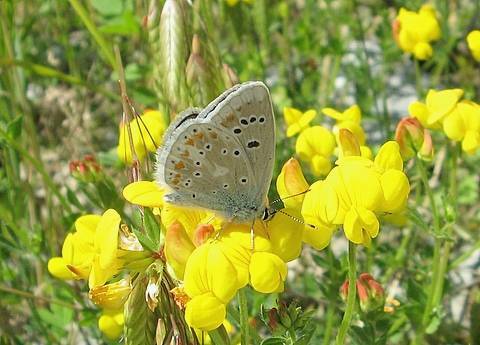 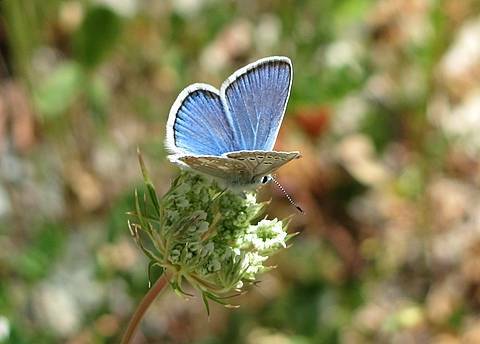 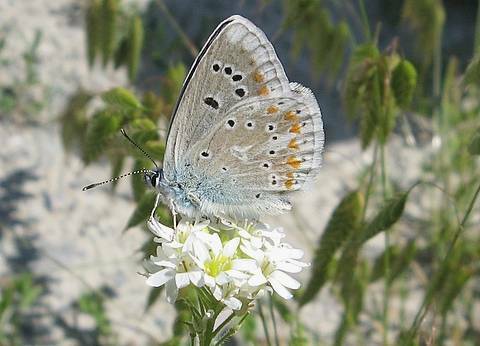 The upperside is a superb, bright gleaming blue. 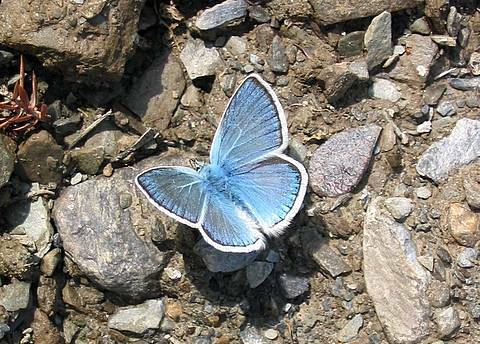 The undersides have characteristic white margins, especially on the forewing which can be particularly helpful in identification. 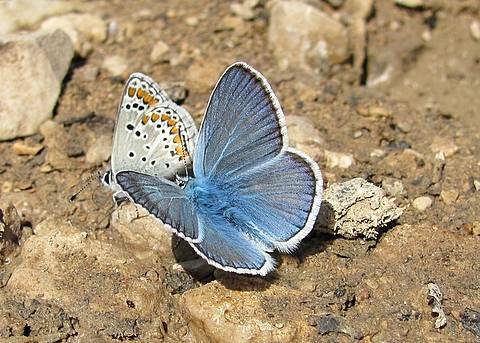 On the hindwing the orange lunules are almost heart-shaped and basically without a dark chevron on the inside like other similar blues.